Creating a Pickler Library Alert! Home » Creating a Pickler Library Alert! Do you want to know when the library receives…..
New books on Egypt? presidential elections? bioengineered food? New videos on Islam? China? adopted children? Latest novels by John Grisham? Tom Clancy? You can perform searches in the Library Catalog, and save them to be matched against new items received in the Library’s collection. Here’s how to set up your profile. Type your first name. Tab to the next box. 2. Click one of the Search Options --Advance keyword, Title, etc..
You can save up to 10 searches. These can be author, subject, title, or keyword searches. On Mondays you will be alerted by email of any recently received titles that match your saved searches. Click on Author—Type author’s last name first. 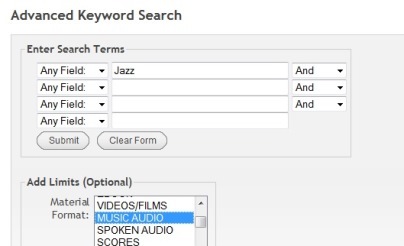 Click on Advanced Keyword—Create your search using all possible synonyms.